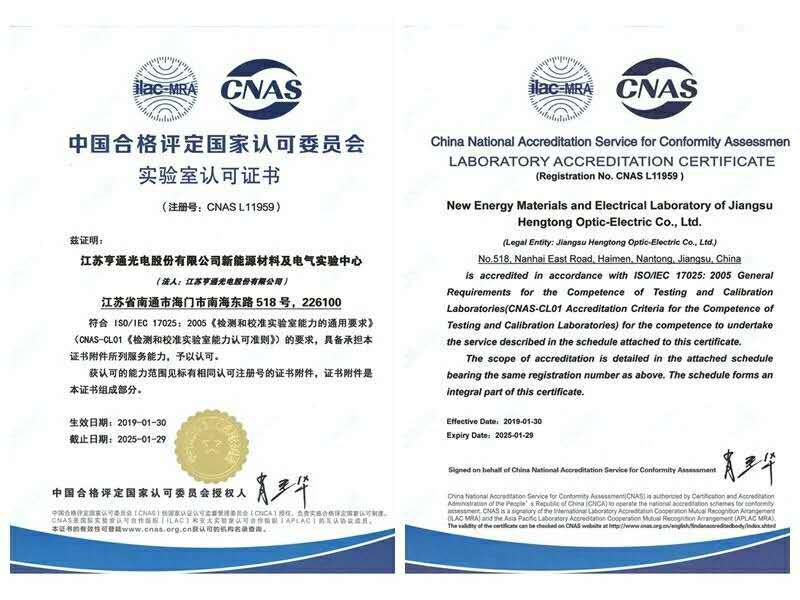 Recently,Hengtong's New Energy Materials and Electrical Experimental Center (hereafter as the center) has been assessed by the CNAS expert group and received the CNAS Laboratory Accreditation Certificate, which marks that test ability of the Center has reached international level. In order to improve quality inspection and supervision level, Hengtong carried out the planning and construction of the experimental center in accordance with the standard requirements of ISO 17025, successively upgraded key testing devices including aging test chamber, fully automatic cable temperature rise comprehensive test system, temperature& humidity cycling chamber£¬Xenon lamp weather-resistant test chamber, as well as ozone-resistant test chamber, which gradually improved the testing capacity of the center. The scope of the center covers 9 standards and 22 test items and it is the second lab of Hengtong recognized by CNAS. 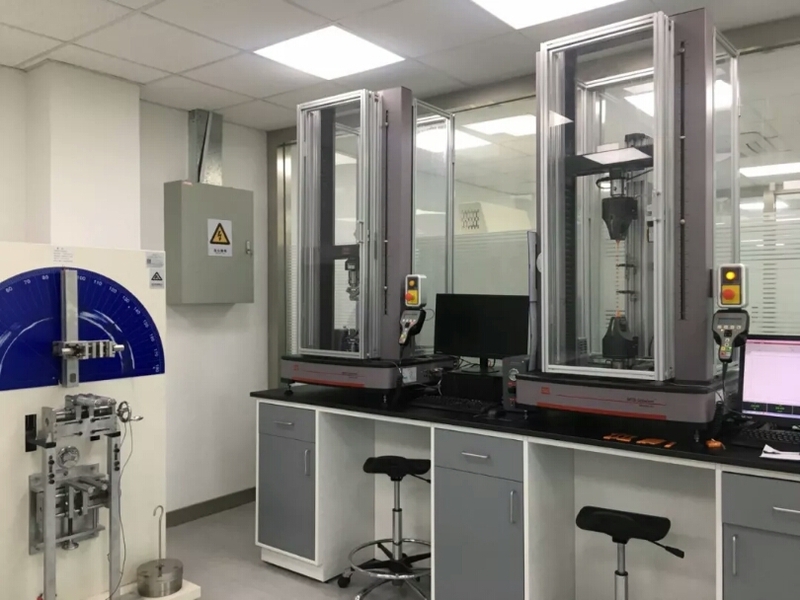 China National Accreditation Service for Conformity Assessment(CNAS£©, is a professional national accreditation body, recognition of which indicates that the recognized lab has the technical ability with the international recognition standard to carry out the testing service. China National Accreditation Service for Conformity Assessment (abbreviated as: CNAS), approved and established by Certification and Accreditation Administration of the People’s Republic of China (abbreviated as: CNCA) in accordance with the provisions of “Regulations of the People's Republic of China on Certification and Accreditation”, is responsible for accreditation of certification bodies, laboratories and inspection bodies. China's national accreditation system of conformity assessment plays an important role in international accreditation activities, and its accreditation activities have been integrated into the international mutual recognition system. China National Accreditation Service for Conformity Assessment is a full member of the International Accreditation Forum (IAF), International Laboratory Accreditation Organization (ILAC),) Asia Pacific Laboratory Accreditation Cooperation (APLAC) and the Pacific Accreditation Cooperation Organization (PAC). Currently, IAF mutual recognition members, including CNAS, come from 61 accreditation institutions in 56 economies, while ILAC mutual recognition members come from 94 accreditation institutions in 90 economies. Product report issued within the scope of approval by the CNAS laboratory will have international mutual recognition qualifications.